Today we are keeping it quick and easy. 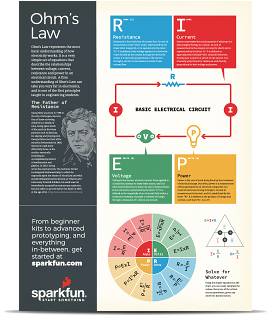 We've designed three posters over the last couple of months to go along with some of our most popular tutorials. 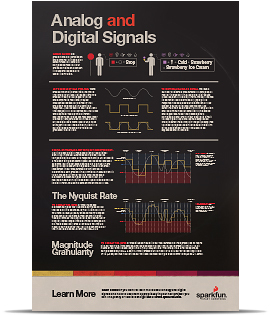 We've covered Ohm's Law, Alternating Current vs Direct Current and Analog and Digital Signals. 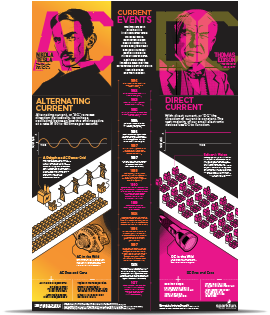 Each poster is high-resolution and ready to print out up to 24" x 36". We hope you enjoy this little gift from us, and please share photos when you've got them up in your workspace or classroom! We plan on releasing new posters every now and again, so stay tuned! I Amps, E Volts, R Ohms, wouldn't P be Watts instead of Power? Why E instead of V for voltage?